Myrtle Beach is home to approximately 100 top golf courses and they are enjoyed by golfers from all over the world. Golfers annually take advantage of the great Myrtle Beach golf deals that are offered. The mild Myrtle Beach weather and beautiful Myrtle Beach golf courses make it the ideal golf destination. Each year Golfweek magazine publishes their Ultimate Guide To Golf Course Living and Great Escapes Magazine and several Grand Strand golf courses have been listed in the 2016 issue. Congratulations to all that made this prestigious list. DUNES GOLF & BEACH CLUB – Ranked No. 25 the Dunes Golf & Beach Club has long been a favorite among Myrtle Beach golf courses. Designed by renowned golf course architect, Robert Trent Jones Sr. the Dunes opened In Myrtle Beach in 1949. The course was modified in 1976-77 when changes were made to holes number 3, 4, 11, 13 and 18. Over the years the greens have been completely resurfaced many times with the most recent being in 2013 when the “Open Doctor”, Rees Jones completed a renovation and the greens were changes to Champions Ultra Dwarf. The Championship Course measures 7450 yards from the back tees and the rolling terrain borders the scenic Atlantic Ocean. CALEDONIA GOLF & FISH CLUB – Ranked No. 26th, Caledonia Golf & Fish Club is one of the most scenic Myrtle Beach golf courses. Located in Pawleys Island, it offers the finest in Low Country golf. The Mike Strantz design annually garners many awards both locally and on a national level. The beautiful fairways wind through century-old live oaks, streams, lakes and a natural setting. The antebellum clubhouse is breathtaking and gives you the feeling of going back in time to the Old South. Southern charm combined with an outstanding golf course would make this a great addition to your Myrtle Beach golf package. BALD HEAD ISLAND CLUB – Ranked No. 67 Bald Head Island Club is located a short 45-minute drive from North Myrtle Beach in Bald Head Island, N.C. This course offers a very unique Myrtle Beach golf experience in that you have to travel to the island either by passenger boat or ferry. George Cobb was the original golf course architect and was renovated by noted designer Tim Cate. The course winds its way over a natural setting of dunes, lagoons and a maritime forest. The beautiful Mini Verde greens offer a special challenge with the many undulations. Add this course to your next Myrtle Beach golf package for the ultimate Myrtle Beach golf trip. BAREFOOT LANDING (DYE) – Ranked in the top 100, the Barefoot Dye course is one of four courses in the barefoot golf complex located in North Myrtle Beach. World renowned golf course architect, Pete Dye, continued his tradition with this demanding golf course. The course features all of the characteristics that Dye is noted for. Expert shot-making is required as you take on the many challenges offered on the Dye Course. The greens are very undulating and have recently been resurfaced with Champions Ultra Dwarf Bermuda. Combine the Dye Course with any of the other Barefoot Resort courses on your next Myrtle Beach Golf Authority golf package. BAREFOOT RESORT (FAZIO) – Ranked in the top 100, The Fazio Course is one of the four Barefoot Resort courses located in North Myrtle Beach. Tom Fazio has been a five time recipient of the “Golf Course Architect of the Year” award. The Fazio Course has a natural setting that features many Low Country characteristics. The course winds its way over rolling terrain, native grasses, live oaks and Carolina pines. The course is always in pristine condition and the Champions Ultra Dwarf Bermuda greens are outstanding putting surfaces. The Barefoot Resort Fazio Course would be a great addition to add to your next Myrtle Beach golf package. A Myrtle Beach Golf Authority golf package is the ideal way to plan your next Myrtle Beach golf trip. GRANDE DUNES GOLF CLUB – Ranked in the top 100, the Grande Dunes is an award winning Myrtle Beach golf course located on the scenic Intracoastal Waterway. The Robert Rulewich Group designed golf course was named “National Golf Course of the Year” by the national Golf Course Owners Association in 2009. The Grande Dunes Resort Course is always in outstanding condition and the Champions Ultra Dwarf Bermuda greens ensure that every putt will roll true. If you would like a Myrtle Beach golf lesson, the Ritson-Sole Academy is ranked in the “Top 25 USA Golf Schools” by Golf Magazine. Combine the Grande Dunes Resort Course with any of the other Myrtle Beach Championship golf courses to create the perfect Myrtle Beach golf package. LEGENDS GOLF COMPLEX (MOORLAND) – Ranked in the top 100, the Moorland course is part of the Legends Golf Complex. World famous golf course architect, Pete Dye, used his characteristic diabolical design techniques when he laid out this very challenging Myrtle Beach golf course. The multi-level fairways, bulkheads, deep bunkers and multi-tiered greens will challenge even the most expert players. The course has drastic elevation changes, which are unique on most Myrtle Beach golf courses. If you would like to add a very challenging course to your Myrtle Beach golf package, the Moorland will fit the bill. MYRTLE BEACH NATIONAL (KING’S NORTH) – Ranked in the top 100, King’s North is one of the three Myrtle Beach National premier golf courses. The “King” himself, Arnold Palmer re- designed this breathtaking Myrtle Beach golf course in 1996. This award winning golf course has consistently been one of everyone’s favorites since its inception. King’s North has plenty of water, sand and island greens to challenge every golfer. The course is always in immaculate condition and very enjoyable. 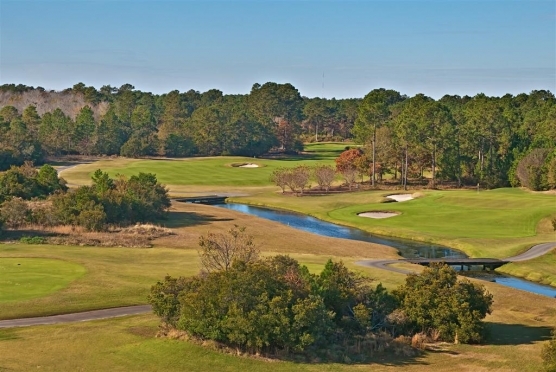 King’s North would be the perfect golf course to include on your next Myrtle Beach golf trip. CAPE FEAR NATIONAL GOLF CLUB – Ranked in the top 100, Cape Fear National is a pleasant 45 minute drive from Myrtle Beach and is located in Brunswick Forest, south of Wilmington, N.C. Brunswick Forest is one of the fastest growing communities in the Coastal South. Renowned golf course architect, Tim Cate, made good use of the natural terrain and incorporated a Scottish-style design on this wonderful Grand Strand golf course. Water and sand offer many challenges as you navigate your way through this scenic golf course. Cape Fear National would be a great addition to any Myrtle Beach golf trip. THE RESERVE CLUB – Ranked in the top 100, The Reserve Club is located in Pawleys Island and was designed by none other than the “Shark” himself, Greg Norman. The Reserve Club is a private golf club that is located inside a gated community. The Reserve Club has been recognized as one of the premier courses on the Grand Strand, both on a national and state level. The Reserve Club is part of McConnell Golf, which is a leader in the golf industry. TIDEWATER PLANTATION – Ranked in the top 100, Tidewater Plantation is located along the scenic Intracoastal Waterway and offers outstanding views of the water and Cherry Grove. Golf course architect, Ken Tomlinson, made great use of the natural terrain when he designed this jewel. The course features some dramatic elevation changes which allow for beautiful vistas of the natural marshes and natural landscape. The course is always in immaculate condition and the recently renovated TifEagle greens ensure a true roll on your putts. Tidewater Plantation would be a fantastic course to add to your Myrtle Beach Golf Authority golf package. 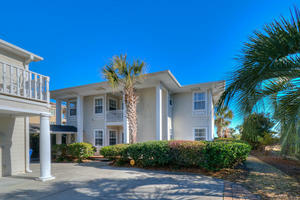 It is convenient to the wonderful North Myrtle Beach accommodations that are offered by Myrtle Beach Golf Authority.